The Sifting Pan | Helping you find those Indie Gems! English electropoptress Little Boots is transforming the boardroom into a dance floor with her upcoming album Working Girl. Just listen to the latest single Better In The Morning, and you’ll be wanting to take stocks out in Little Boots. Better yet, you could actually invest your time in Little Boots self-made record label On Repeat Records. If Better In The Morning is any indication of the impressively addicting electropop in store for us, then I am sure I’ll be sold on everything that is being offered. I’ll go ahead and have my people reach out to your people to work out a pre-order transaction. Working Girl is out July 10th on a internet capable device near you. In the meantime, let’s go over this business proposal known as Better In The Morning several more times. Categories: 2015 | Tags: Better In The Morning, British, Electro, Indie, Little Boots, Pop, Working GIrl | Permalink. Take a deep breath and dive in with me! This electropoptastic tune by Scandinavian six piece Kid Astray is just what your summer has been waiting for. Take those summer feel-good vibes to the next level with all the luscious layers of my current obsession, Diver. When I say that I can’t get enough of this truly uplifting track… I darn well mean it! If Diver was like a grand hotel’s Jacuzzi, I would have far surpassed the maximum time allowed in one use. I’m beginning to think my musical brain is prunning up from the prolonged exposure to this satisfying indie pop. Categories: 2015 | Tags: Diver, Electropop, Indie Pop, Kid Astray, Music, Norwegian | Permalink. Here’s a nautical music adventure that will surely bring a smile to your face, and fill your stomach with butterflies of youthful bliss. Sea Creatures is awash in glowy feel-good vibes that will transport you to a moment of oceanic serenity. Life’s problems just seem to melt away under the influence of this lovely gem. After all, it’s hard to be mad at anything when your insides have been reduced to a goopy mess of positivity and joy. SOAK is the solo work of a young and talented female singer-songwriter from Northern Ireland. At only 18 years old Bridie Monds-Watson is making some serious waves internationally with her heartfelt tunes that celebrate, albeit toned down, life and love. I’m sure a well crafted debut album is on the horizon for us all, but only more anticipation shall grow in its absence. Until that day comes, I’m perfectly content drifting away on the serene voyage that is Sea Creatures. Categories: 2015 | Tags: Alternative, Gem, Indie, Irish, Music, Sea Creatures, SOAK | Permalink. 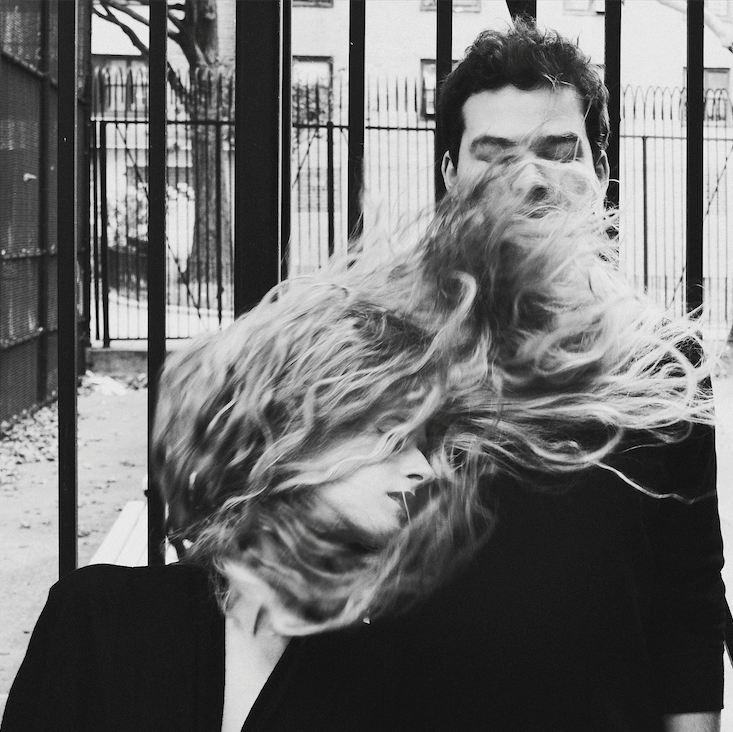 Meet impressive Philadelphia based electronic pop duo Marian Hill. Marian Hill are a standout American duo that blend elements of jazz into sultry electronic music. Talented producer Jeremy Lloyd helps give life to the delightful vocals of Samantha Gongol that pierce across every track. One bite from any one of the tempting apples these two have concocted might leave one inoculated with their fresh brand of seductive indie pop. Wasted was the fruit of my downfall, and I suggest that you indulge into it as well. Lips is another great example of the riptide allure the pair bring to the table. Combining delicious hooks with such a creative free flow of production is sure to gain them some well deserved attention. I just hope that listeners in the States are more prone to Marian Hill’s music than their similar sounding cousin’s across the pond AlunaGeorge. One listen of their newly released Sway EP and somehow I’m not that worried about anyone missing out. All seven tracks carry a special charm that can easily be enjoyed by us all. Shout out to my local free format radio station 91.5 WPRK for introducing me to this lovely pair and their undeniable grip. Categories: 2015 | Tags: American, Electronic, Lips, Marian Hill, Music, Pop, Sway, Wasted | Permalink.